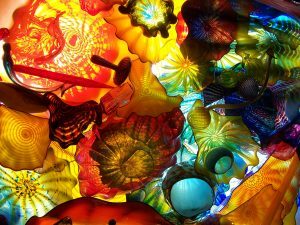 Starting June 26, the Royal Ontario Museum will feature the first major Toronto exhibition of the legendary artist Dale Chihuly. Chihuly (pronounced Chi-hooly) is renowned across the world for his elevation of glass-blowing into a true art form, from small pieces to spectacularly large installations. Like Persian Ceiling (above), Chihuly specializes in creating intricate individual pieces, layering together to create truly magnificent statements about nature, art and glass. About his work, Chihuly says, “I want people to be overwhelmed with light and colour in a way that they’ve never experienced.” You too can be overwhelmed, after CHIHULY opens on June 26. The exhibition will run until the end of December. For more information and to get your tickets today, check out the ROM website! Summer has officially arrived at Stratford! The Lion, the Witch and The Wardrobe: this beloved children’s story comes to life on-stage for the first time at Stratford. Opening later this month: Breath of Kings (Rebellion and Redemption), a two-day cycle of Shakespeare’s historical plays that still resonates today. 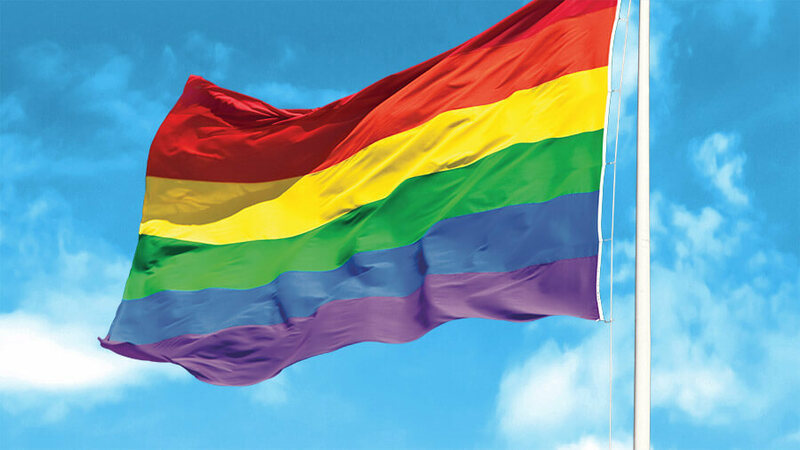 Today is June 1 and that means one thing: Pride Month has begun! Starting today, Pride Toronto will be celebrating the history, courage and diversity of the LGTBQ community. All month long, you will find awesome discussions, cool art exhibitions and music that will make everyone happy! The month of celebration will culminate with the Pride Parade on July 3rd: join hundreds of thousands of people for the 35th annual parade! For more information about events and how you can get tickets, head to their website! The city of Thunder Bay and the Vedic Cultural Centre are celebrating their diverse community this July. The Festival of Colors and Festival of India will take over Marina Park July 23 and 24 – stay tuned for more news in a future newsletter! In the meantime, you can head to the combined website for an exclusive sneak peek! Luminato starts in nine days and #TurnOnTheHearn is seriously underway, as hundreds of people descend upon The Hearn. The multi-disciplinary arts festival, opening June 10, will attract thousands of people to the shores of Lake Ontario with installations, performances, and happenings from every artistic discipline. Unsound is a cutting-edge festival-within-a-festival taking place during the first two days of Luminato. An amorphous music festival, Unsound combines music and technology to bring the newest electronic and experimental music to the forefront. Artists from ten different countries will electrify The Hearn with ambient soundscapes, drone metal and pounding techno. For more information about Unsound, click here. Since its inception, Luminato has relied on dozens of volunteers for everything from guiding tours to front of house activities. One of the most interesting programs is the Youth Volunteer Photography Team. 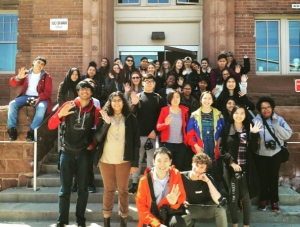 Composed of teens aged 14-18, these recruits are responsible for some of the amazing images of the Luminato Festival that you see, year after year. This year’s team (see above) are ready to jump into the action with their mentors: no special moment will go unsnapped at Luminato! Many of the Luminato exhibitions are selling out; do you have your tickets yet? If not, you should head to their website to grab yours before they’re gone!